It’s almost here: one of the biggest events in a car aficionado’s life. 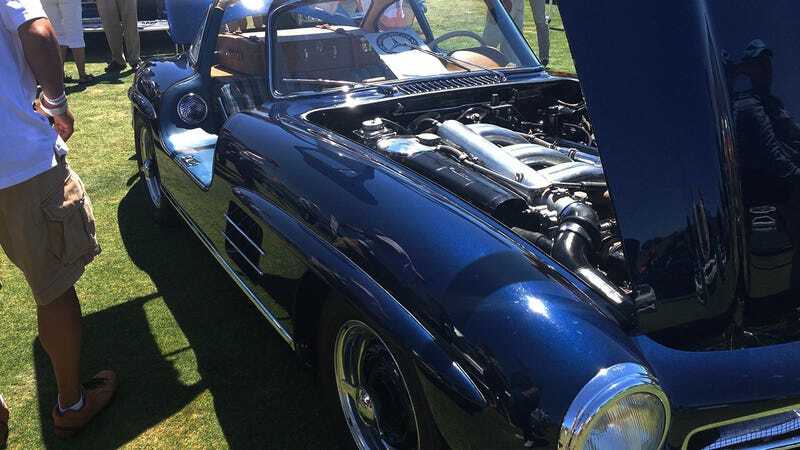 Monterey Car Week will be chock-full of automotive excitement: races, auctions, and, of course, the cars of your dreams. And you could be attending next year. This year, Michelin is giving one grand prize winner an all-expenses-paid trip for two to Monterey Car Week 2016. Seven Jalopnik readers will also win a set of MICHELIN® brand passenger or light truck tires. Born from endurance racing, they give you the exhilaration of driving the best performing street tire in the world. CONGRATULATIONS to Western Edge who won a brand new set of MICHELIN® tires yesterday for their winning #MontereySweeps entry HERE. There’s plenty of time to enter for tomorrow’s giveaway and the grand prize trip for two to Monterey Car Week 2016. Enter by sharing a photo or video featuring your favorite car-related moment — whether something from your personal history or a historical event — using both the hashtags #MichelinSweeps and #CarWeek. It’s THAT easy. Head to michelinsweepstakes.jalopnik.com to see other entries for inspiration.